Tim Hodge and his father debated the decision to turn pro out of high school, he told his hometown Jackson Clarion-Ledger in July 1988. His ultimate decision: Turn pro and sign with the Blue Jays. "I have no regrets, definitely not," Hodge told The Clarion-Ledger as he played for rookie Medicine Hat. "I'm enjoying it, every bit of it except the weather." Hodge's choice to turn pro then got him a career that spanned six seasons. He made it as high as AA, but he never made the bigs. 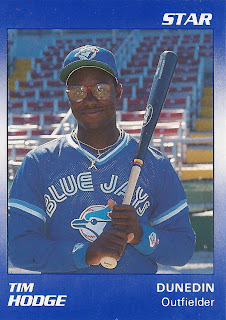 Hodge's career began that year, taken by the Blue Jays in the second round of the draft out of Callaway High School in Mississippi. 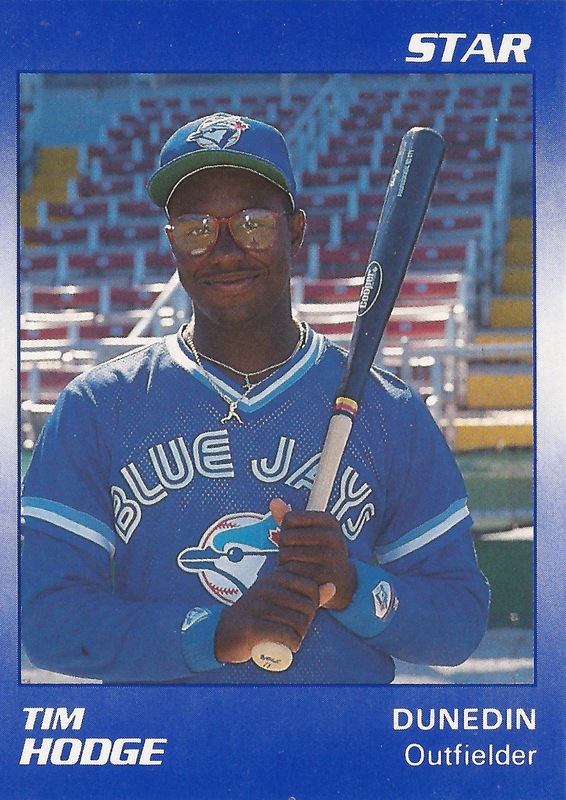 Hodge started with the Blue Jays at short-season St. Catharines. He played two games there before he made the move to Medicine Hat. In 32 total games on the season, he hit .180. He played 1989 at single-A Myrtle Beach. He hit in seven-straight games in one stretch and knocked in 12 over eight games in July, according to his Star card. He hit .228 over 123 games. Hodge made high-A Dunedin for 1990 and stayed there through 1992. He went 1 for 3 in an August 1990 game. He hit .244 that year and no better in the next two. He played 1993 at AA Knoxville. In 102 games, he hit .242. That season marked his last as a pro.